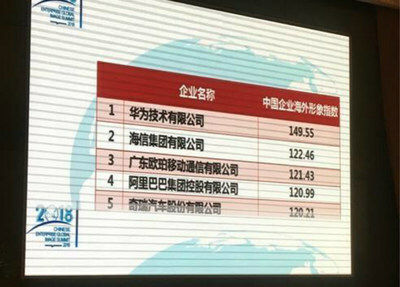 BEIJING, Dec. 19, 2018 /PRNewswire/ — China’s automaker Chery won the best overseas image award in 2018 for the third time, with it ranking fifth in the list of the top 20 Chinese enterprises with the best overseas image. 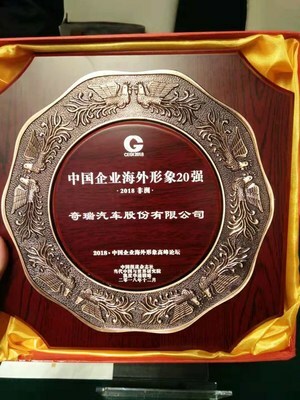 Chery accepted the award at a summit on the overseas image of the Chinese enterprises on December 12 in Beijing. Chery attributed its winning the award to its outstanding reputation developed through unremitting overseas operations. In 2018, Chery greatly enhanced its brand image and influence through a series of marketing campaigns and the launch of new products. For example, in June, Chery invited fans from all over the world to embark on a “journey to FIFA World Cup Russia” to experience the charm of the event. In October, Chery hosted the first gala for the global fans to appreciate the Chinese culture and Chery’s culture. In December, Chery-sponsored Club Deportivo Universidad Católica claimed the Prime Division title through intense competition. This year, Chery’s new 2.0 products debuted globally, with Chery Tiggo 4 launched in Chile, Peru, Egypt, Brazil and other overseas markets starting from April. The series of marketing campaigns launched by Chery this year have greatly enhanced the global consumers’ recognition of the Chinese automobile brand, shoring up its exports. In November this year, Chery exported more than 10,000 vehicles, up 20.9 percent month on month. It exported nearly 120,000 vehicles in the first 11 months of the year, up 18.7 percent year on year, exceeding its total exports in 2017. With its business presence in more than 80 countries and regions, Chery said it will continuously strengthen innovation to enhance its competitiveness worldwide. 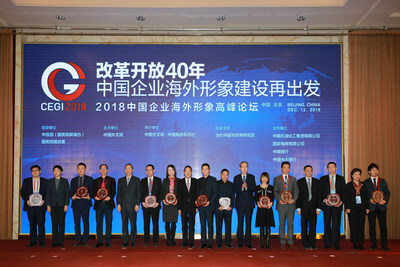 The summit was hosted by the China Foreign Languages Publishing Administration and organized by China Report Office. 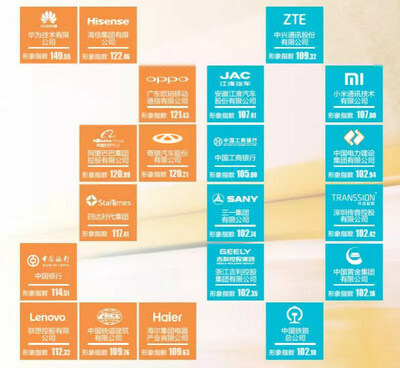 A survey report on the overseas image of the Chinese enterprises and the list of the top 20 Chinese enterprises with the best overseas image were unveiled at the summit.